When a friend told me that the local Publix on Ponce de Leon Avenue here in Atlanta had a new British food section, I scurried over to check it out. 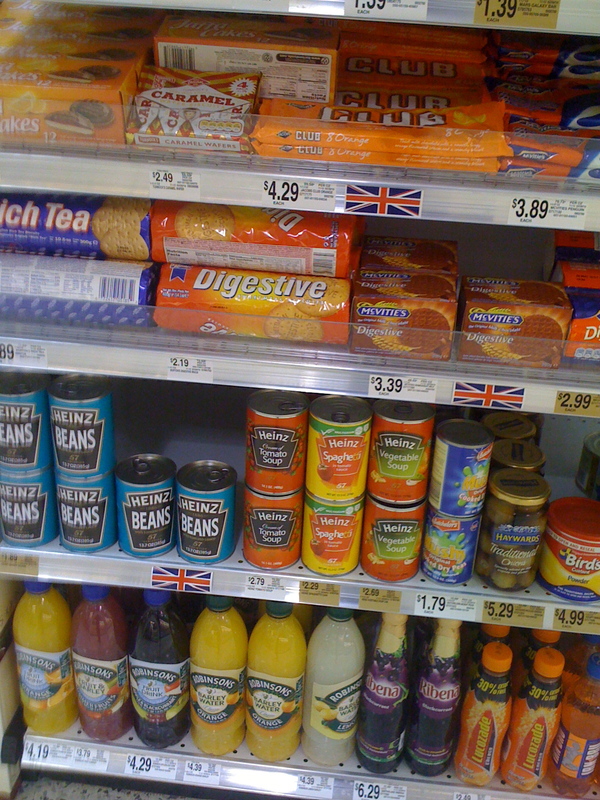 It was small, but thorough: the British items ranged from baked beans, to Yorkshire puddings. PG tips tea was featured (even decaf! ), Ribena (a syrup kids add to water to make it purple), salad cream (a mayonnaise like substance that one puts on lettuce) and McVities Digestive biscuits. I was slightly disappointed to find that the top few digestives were crumbled. While excessive crumbs are always a hazard with those light cookies, I worried that they took a hit getting shipped over from the UK. Unless, knowing that there is a demand for British products in the US, maybe there were produced here. 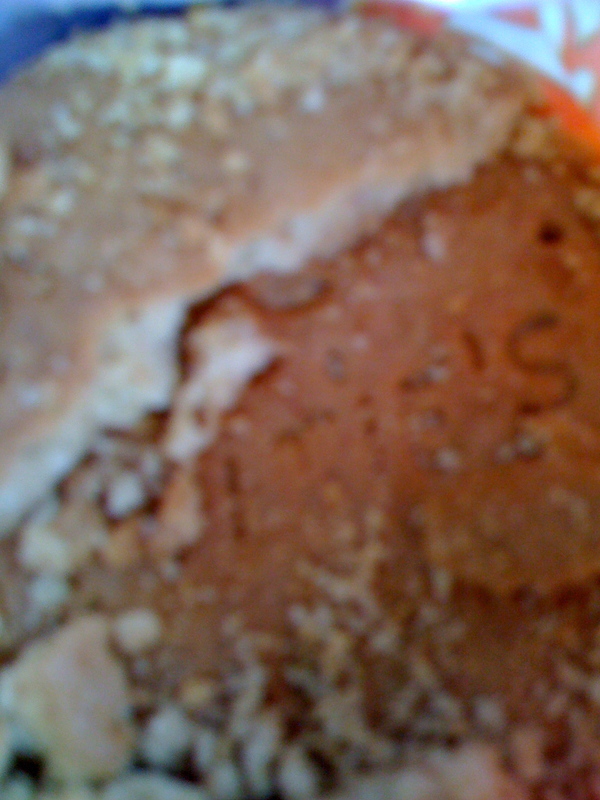 And it’s possible the biscuits broke when they fell out of my canvas tote bags in the trunk of my car. It took me about a year of living in London to find stores that sold peanut butter and low fat salad dressing. So, having been here for nearly a year and a half, I am right on schedule. I will be pleased to have the extra luggage space that is usually taken up by Branston pickle.